Back To School Vitamins Reminders That Could Help. 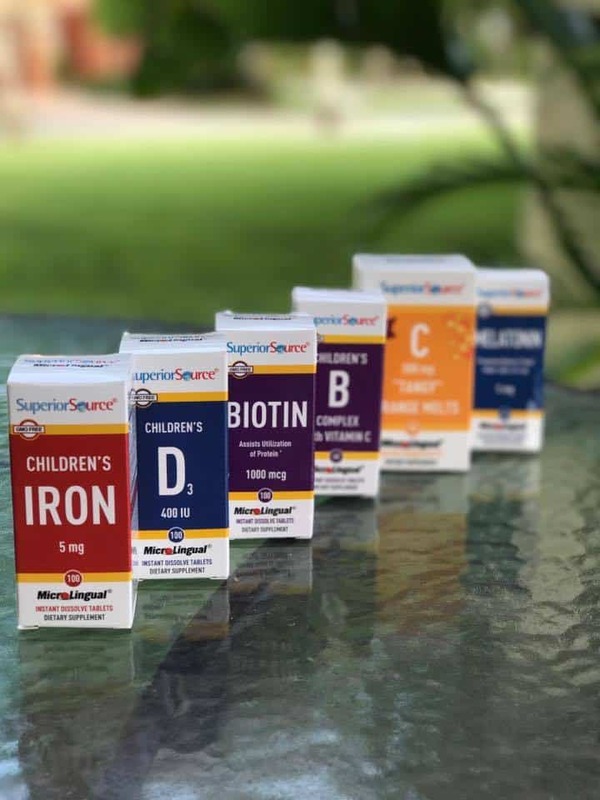 Superior Source Vitamins Offer Value, Convenience, and No Pills To Swallow! Children have unique needs. And when it comes to vitamins, we need to decide which brand to go with. I personally do the best to pick those products that are vegetarian-based and have a proven record in performance. I compare a lot and educate myself on what is going on in the vitamin world. Superior Source has something of value to offer to you and your child. Their MicroLingual® Technology has a proven mechanism to deliver the nutrients – vitamins – straight into the blood stream, thus avoiding any damage and waste of the precious product. With less, we accomplish more. What I appreciate about the Superior Source vitamins is that they are formulated with a so-called co-factors. That means vitamins have their “friends” that help them to work better in the body. For example Vitamin D calls for the presence of Calcium to work the best. Superior Source takes into the account such relationships in the works of vitamins and minerals in the body. Take a look at these vitamins that your child may need. Choose something that effectively delivers the so-much-needed nutrient into the body. Children’s Vitamin D works in conjunction with calcium to promote the development and maintenance of strong bones and teeth. Superior Source Vitamin D products are D3, the finest source of Vitamin D available. Children’s Iron is a low 5 mg dosage suitable for children under 4-years of age. In the fumarate form, which is gentler on the stomach than other form of iron. Vitamin C is an essential nutrient that cannot be produced by the body, therefore, it must be replenished daily. Vitamin C has several beneficial purposes including developing and maintaining healthy skin and bones, to form collagen and enhances the absorption of iron from plant-based foods we eat. Vitamin C also provides support to the body’s immune system. “Superior Source” Vitamin C 500 mg, “Sour Cherry Melts” contains very little sodium (only 1% of the Daily Requirement), it is helpful in offsetting the natural acidity of Vitamin C, creating a smoother less acidic taste. NO sugar added; only sweetened with a little stevia. This is preferable to most “chewable” vitamin C products that typically are loaded with lots of sugar. You kids will enjoy taking Superior Source Vitamins because there are NO PILLS to SWALLOW! The unique feature of the Superior Source vitamins is their ability to dissolve in seconds. It means no swallowing is required. If you never tried Superior Source vitamins, there are some ways to give them a try. Here’s what they offer. 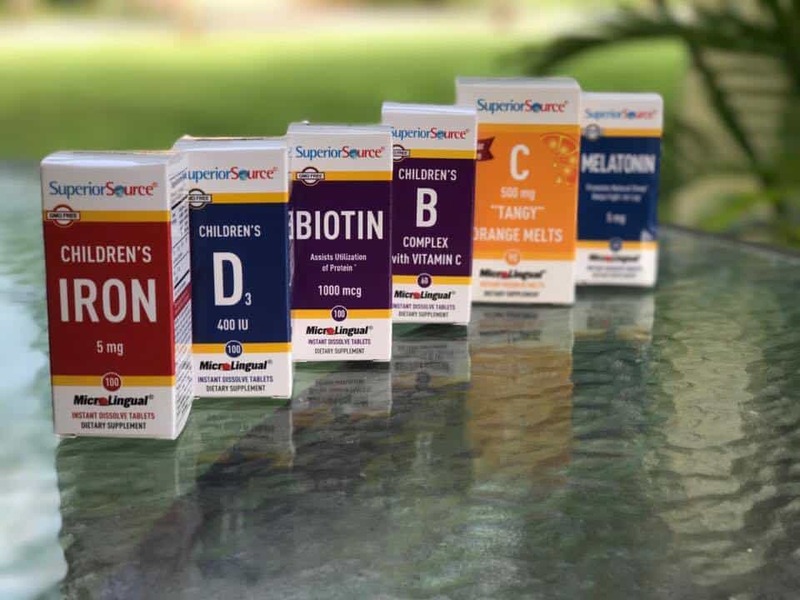 Get Ready for the Back-To-School Routine with Superior Source! GrandeBrow Gets Your Brows Back On Your Face! 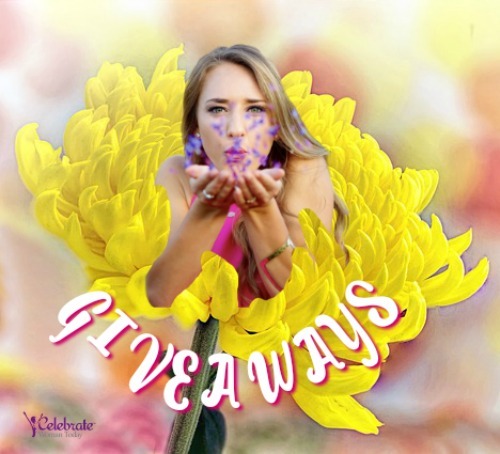 Who Wants To Win Sublingual Vitamins for Women to Fight Flu Season? this whole regime looks fabulous! i love that it included melatonin! we love it for our kiddos at night! they always wake up refreshed and happy. our dr also approves of melatonin! I love that these are sugar free, that is hard to find in a lot of vitamins like this.